Tetris is perhaps the most instantly recognizable, popular video game ever made. But how did an obscure Soviet programmer, working on frail, antiquated computers, create a product which has now earned nearly 1 billion in sales? How did a makeshift game turn into a worldwide sensation, which has been displayed at the Museum of Modern Art, inspired a big-budget sci-fi movie, and been played in outer space? In this fast-paced business story, reporter Dan Ackerman reveals how Tetris became one of the world's first viral hits, passed from player to player, eventually breaking through the Iron Curtain into the West. British, American, and Japanese moguls waged a bitter fight over the rights, sending their fixers racing around the globe to secure backroom deals, while a secretive Soviet organization named ELORG chased down the game's growing global profits. 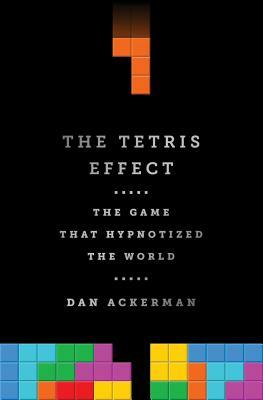 The Tetris Effect is an homage to both creator and creation, and a must-read for anyone who's ever played the game-which is to say everyone. New York native Dan Ackerman is currently a section editor at the leading technology news site CNET, where he oversees a team running CNET's New York gadget testing lab, reviews laptops and tablets, hosts videos, and writes about hot-button consumer technology topics. He's a well-known TV talking head, seen on CNN, CNBC, MSNBC, Fox News, BBC News, ABC, CBS, and NBC News, and other outlets, and he regularly appears as an in-house technology expert on "CBS This Morning." As a writer and columnist, Ackerman has contributed regularly to magazines, including "Men's Journal," "Maxim," "Blender," and "Sync," and he's previously served as a monthly technology columnist for both "SPIN" and "WWE Magazine." As an industry expert, he's been interviewed by or quoted in the "New York Times," "USA Today," "The Atlantic," "Mother Jones," "Fast Company," and many other publications.